The reach inflation issue has spread to the US, where market analysts and the media have questioned the discrepancy, which has been found in nine out of 12 other markets in an AdNews study. Facebook has stood by its inflated reach estimates in responses to the media and a carefully-worded email to media buyers in this country. Its position is that its reach estimates include variables like short-term visitors and has encouraged advertisers not compare its figures with official census data. The IAB, a peak body for internet advertising in Australia, has told AdNews that it “strongly encourages” advertisers to use independent third-party data for assessing media reach across all digital players. The IAB says the Nielsen figures are the cleanest digital currency to represent true reach and accounts for factors such as duplicate accounts and fabricated user information. Experts speaking to AdNews on the condition of anonymity have said Facebook's "estimated reach" does not describe individual people and was likely to contain duplicate accounts and users lying about their age. A media buyer has told AdNews the concern about the tool is that it could mislead marketers in planning and budget allocation on the platform, particularly for smaller companies that do not have media agency partners to scrutinise the data. "It doesn’t matter if they are only billing us on actuals," the media buyer said. "Because of higher estimations it is perceived as a better platform based at the planning stage." Facebook's response to the audience inflation findings has been to distance its reach estimates from census data rather than acknowledging it has a problem. In a email circulated to media buyers, it sought to clarify its reach estimates by saying there are “several factors” that contribute to the discrepancy before naming one potential cause. “We look at people in a particular region at a particular time, not necessarily who lives there like the Census does. Census data also does not include non-residents or visitors, which we factor into estimates,” the email said. Facebook says its “estimated reach” tool provides an estimate of potential overall reach and the estimated daily reach of the ad campaign. It described it as a "campaign planning tool". “These numbers are designed to provide an idea of your campaign's potential reach. 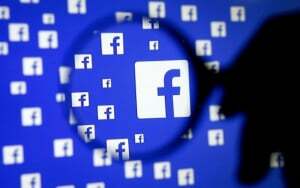 They are not meant to be an actual accounting of Facebook's active users and are not designed to match population or census estimates,” the email said. It urged media buyers to advise clients: “we don't recommend that advertisers compare the numbers as they are not expected to match”. In his weekly column in The Australian, Mark Ritson said he was shocked to learn that Facebook's figures had exceeded population data and alarmed that some digital marketers were unconcerned by the discrepancy. “The reaction of most digital marketers was one of unconcerned equanimity. Some accepted that Facebook had erred but they pointed out that it was no better or worse than other traditional media vendors who also overstate their reach,” Ritson said. 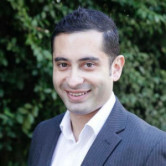 One of Ritson's LinkedIn posts garnered a broad range of industry views on the issue, with many critical about credibility of Facebook figures. IAB Australia has urged advertisers to use Nielsen for measuring Facebook's reach rather than the social media's own Ad Manager tool, AdNews can reveal. For the past week, the social media platform has come under increasing pressure to explain how its estimated reach of 15-39s has 1.7 million more people in Australia than officially exists.